Pinterest is little more than a dumb platform based on crowdsourcing the scraping of visual content without having to pay anyone a cent, except perhaps a handful of lightweight programmers and high-power attorneys; it was simply a matter of time for other crowdsourcing content scraping thieves to start to elbow it for a piece of the action. Pinterest, for a time, was ahead of the game by providing a central display of third-party image content, which was until then scattered on the creators' websites. With many viable competitors now entering the arena, the visual content is now trending back to its original scattered state, only on image scrapers rather than the creators' own websites. Yes, this is ironic. Launched in mid-May 2012, Loveit.com is such a viable competitor. It outshines Pinterest in terms of sheer arrogance. We clearly call out in our Terms of Service that the content you bring into LoveIt is yours…We don’t claim any ownership of the content and you’re more than welcome to move it or share it on any other site you choose. Yeah, right. Just like Pinterest, they have a one-click infringement pinmarklet-like tool which is called +Loveit - blowing any pretense that Loveit isn't just yet another copyright infringement platform right out of the water. It's just a variation of the no copyright infringement intended disclaimer. Loveit.com shows large "thumbnails" at 220 pixels wide. For now, unlike Pinterest, Loveit's links to your website are normal links, and not rendered worthless by the addition of the "nofollow" attribute. This may be a temporary lure, until they can legitimately use spam prevention as an excuse to use the "nofollow." Loveit.com's domain name is cloaked by a privacy service. One cannot investigate ownership of the website by normal means. With Loveit.com, you can select all images on a given page - copyright infringement on steroids! Image uploads from search engine result pages are welcome as always. With Loveit.com, you can upload multiple files from your hard drive. Like Pinterest, Loveit has an EMBED code generator to propagate the infringement to fourth-party websites. Loveit.com has private/group settings making the infringement more difficult to detect. That's not all! There's a PIN IT button on every image uploaded to Loveit.com!!! The copyright equivalent of the multiplication of loaves and fish. Guess what? Like Pinterest, it's hosted on Amazon's servers! Indeed, their abuse contact email is at: ec2-abuse@amazon.com. Loveit.com, perhaps wishing to make a user's transition from crowdsourcing for the ultimate benefit of Ben Silbermann and his venture capitalists, to its own benefit, "a frictionless experience" has a tool to faciliate mass transfer of images from Pinterest to itself. Learning from Pinterest's errors, Loveit comes right out of the gate with an opt-out code. As was predicted; now, every Pinterest clone is going to have a proprietary blocking code, forcing everyone to recode their websites, and creating a culture of "free-to-steal" as the default state. And look at the pulling of heartstrings: this blocking code is called "nolove." <meta name="LoveIt" content="nolove">. Right. Thanks, but no thanks. No one should have to do this for what is bound to become hundreds of websites. The recoding-for-every-new-copyright-infringement-platform insanity does not stop here. You can block individual images with yet another propriety attribute to insert in the img src code: nolove="nolove" - again, aw shucks, don't you want love? No? You want no love? No love for this poor unloved image. There is a way out of this madness with your .htaccess file. Image substitution is more complicated than with Pinterest, because Loveit.com sneakily fails to identify itself in the user-agent field. Instead, you have to deny access to all of Amazon's cloud server IP ranges. There is no downside to this, there is no legitimate traffic to be received from an Amazon cloud server. Hi. Thanks for your great blog. Was hoping to discover if some of my photos are now on Loveit.com, did I get the url wrong for loveit.com/source...? I believe that these /source/ aggregation pages are created only after a user pins from a certain website. Loveit.com probably doesn't know your website even exists until after someone uploads an image from it. That's why you'll get a 404. When someone uploads the first image from your website, Loveit.com will create the corresponding /source/ aggregate page, you won't get a 404 anymore, and you'll se if some of your content has been infringed upon. You might find several hundred more. Ok that's what I was hoping the results meant for Loveit.com - not 'loved' yet. Not tech savvy enough to have thought of searching page=2, 3, etc. new search on those pages results in 25 more pins of my photos. Will be a pain in keester now to get them removed, but a relief to see it wasn't any more than that. A.G.A. - one more techy question for you, how would I conduct a similar search on Tumblr (I apologize if that's an inappropriate question given your blog focuses on Pinterest). I mention Tumblr less, because its one saving grace is that it's not exclusively designed to infringe on copyrights and grabbing third-party content in bulk. 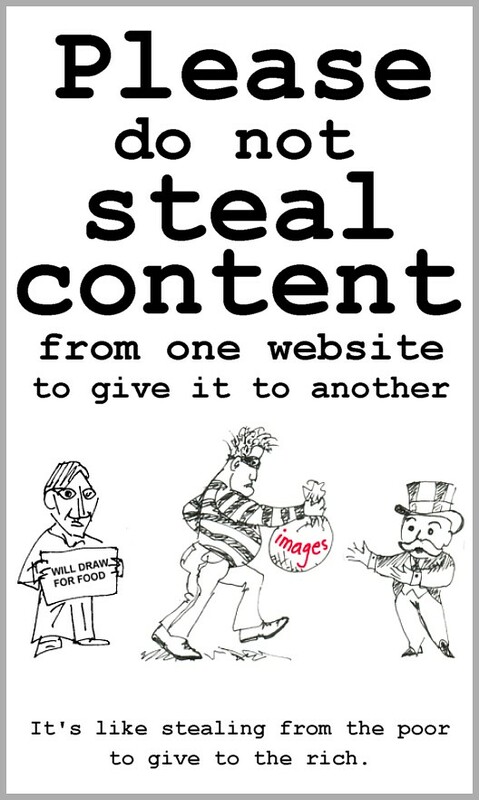 In practice, however, there seems to be a large proportion of infringement with the images. You should visit webmasterworld, where you would be very welcome :) and join in the conversation on pinterest..and how to block it and similar "crowd sourced copyright theft" sites..such as ehow's spark..